Colorado has a strong presence in the liquor industry. 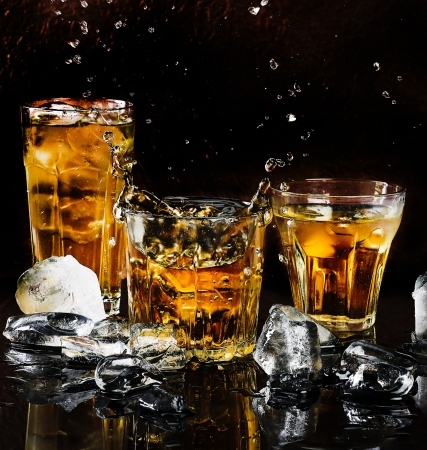 If you are interested in being part of a recession-resistant industry, check out our top five liquor-related businesses for sale! For more information on any of the businesses you see here today, please contact us at info@tworlddenver.com or (720) 259-5099. First place goes to this large liquor store selling wine, beer, spirits, mixers and cigars. This liquor store is known for its excellent customer service and reputation, which has created a large base of loyal customers in the community since 1974. With established systems and employees this business will transition easily to a new owner. Liquor stores are one of the few businesses considered recession resistant and this one comes with strong cash flow and consistent returns. The business had discretionary earnings of $725,000 in 2018. The owner is ready to enjoy retirement but is willing to stay on for an agreed upon training and transition period. This is a great opportunity to own a turn-key business with strong cash flow and consistent returns! Third place goes to this established wine store in the Denver Metropolitan area. This store has been in business for 5+ years and has seen consistent year over year revenue growth. The Business has developed a great recurring revenue base with a wine club. Includes a wide variety of craft beer and spirits in addition to the extensive wine selection. The store is in a location that sees a great deal of both foot and vehicle traffic as well as new development, which brings additional customers to the area. The owners have decided to sell to pursue other opportunities. Inventory is not included in the sales price. Seller financing is available to a qualified buyer and seller is open to all reasonable offers. Third place goes to this liquor store for sale in the Denver Metro area. The business is well located in a developing area of Denver. Inventory is not included in the sale. Inquire for more information! Fourth place goes to this retail liquor store offering beer, spirits, wine, and other related accessories. Located in a fast-growing area with strong buildout including new refrigeration system. The Business has seen sales increases year over year and beat the average margin in liquor retail of 25% by boasting a 33% margin. Great opportunity to own a new business in a modern Denver metro area! Fifth place goes to this restaurant and taphouse offering a wide variety of beer and food options. Over 60 types of beer on tap, with a number of small batch in-house brews. The Business is located at a central location within a historical building, promoting good foot traffic and exposure. Recently, the Business has experienced a growth in revenue and is poised to continue this trend moving forward. This business is located north of the metro area. Great opportunity to own a growing business to make your own!